What Does Code P0255 Mean? OBD II fault code P0255 is a generic code that is defined as – “Injection pump A, rotor/cam -circuit intermittent”. This code is set when the PCM (Powertrain Control Module) detects an intermittent loss of continuity in the signal/feedback circuits between itself, the fuel metering control sensor, the fuel quantity actuator, and other sensors involved in determining the fuel pressure and volume. Note that this code applies exclusively to diesel-powered applications. 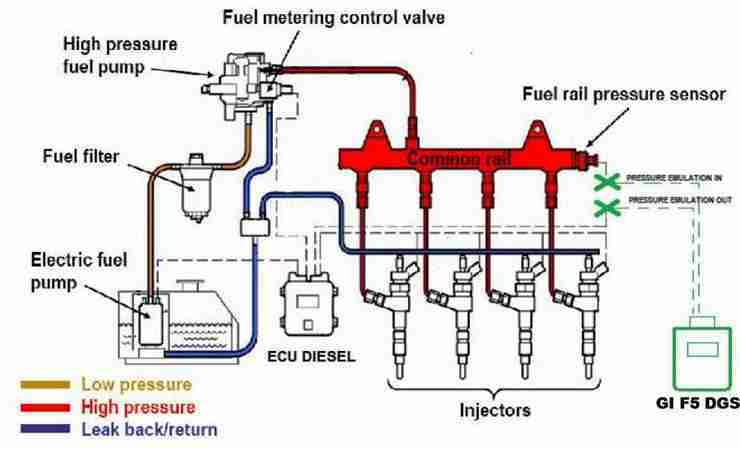 All common-rail diesel injection systems use a device known as an “electronic fuel control actuator” to meter the amount of fuel that is allowed to enter the actual pumping chamber(s) of a high-pressure diesel fuel pump. This device therefore determines the amount and pressure of the fuel that is ultimately delivered to the fuel rail. However, the pressure in the fuel rail needs to be controlled within a very narrow range: there are various ways in which this is accomplished, but to ensure that the actual pressure in the fuel rail closely matches the nominal design pressure, most applications use a variable resistance-type sensor to communicate the actual pressure to the PCM. The pressure sensor converts fuel pressure into a signal voltage, which the PCM uses to calculate injector pulse width (measured in milliseconds) and injection timing (measured in degrees Before Top Dead Center) to ensure that the correct amount of fuel is injected into the cylinders under all operating conditions. Thus, the signal voltages of the electronic fuel control actuator and the fuel metering control sensor must be in agreement for the PCM to be able to calculate an appropriate fuel delivery strategy to ensure efficient engine operation under all engine speeds and loads. On some applications, code P0255 will set and a warning light be triggered after a single failure, while on others, several failure cycles are required before the code is set and warning light is illuminated. Where is the P0255 sensor located? The principal sensors/components that make up the injection pump metering control circuit “A” are known as the Fuel Rack Position (FRP) and Fuel Quantity Actuator (FQA) respectively, and are usually mounted alongside the high-pressure injection pump. In some applications, these components are located inside the high-pressure injection pump. Refer to the manual for the application to determine the exact location of all components and wiring to prevent a misdiagnosis. 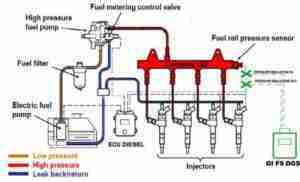 The image below shows a simplified schematic of a typical fuel pressure control system. Note the location of the fuel control actuator on the high-pressure pump, and the location of the pressure sensor on the fuel rail. Note also that although this particular system employs an electric lift pump in the fuel tank, not all applications are so equipped. What are the common causes of code P0255 ? How expensive is it to fix code P0255 ? In nine out of every ten instances of code P0255, repairing the wiring should not cost anything if it is done on a DIY basis. However, professional diagnosis and repair of the wiring can run to between $200 and about $300, while replacement of the high-pressure injection ump can run to several thousand dollars, depending on the application. What are the symptoms of code P0255 ? What are common solutions to code P0255 ? How serious is code P0255 ? How serious this code is depends on the nature of the failure. If the failure involves wiring issues or sensor failure, the code is relatively easy to resolve. 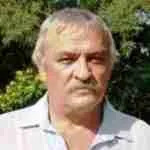 However, mechanical failure of the injection pump is very serious, and invariably requires professional assistance. Non-professional mechanics should therefore note that if the few generic steps outlined in this guide do not resolve the problem, the better option is to refer the vehicle to the dealer or other competent repair facility for professional diagnosis and repair. How safe is it to still drive the car with code P0255 ? An intermittent fault very often develops into a permanent failure, which means that a vehicle on which code P0255 is present can be immobilized at any time, which in turn, means that this code poses an obvious safety risk. Ideally, a vehicle on which code P0255 is present should not be driven until the fault had been found and repaired, and especially not if the vehicle is driven in traffic. How difficult is it to repair code P0255 ? Diagnosing and repairing wiring issues and/or sensor failures should not present the average non-professional mechanic with undue difficulties. However, non-professional mechanics are strongly urged NOT to attempt a diagnosis of mechanical issues inside the high-pressure injection pump, since doing so could result in irreparable damage to the pump. What are the common mistakes when repairing code P0255 ? The most common mistake when dealing with code P0255 is replacing the injection pump or even fuel injectors when the real cause of the problem is almost always due to poor electrical connections or intermittent open circuits. How do you troubleshoot code P0255 ? NOTE #1: In many cases where code P0252 is present, the problem involves a clogged or dirty fuel filter that restricts fuel flow to the high-pressure pump. Also, note that most pressure pumps are fitted with fine-mesh strainers at the inlet point that can also restrict fuel flow when they become clogged. It is therefore recommended that the fuel filter and strainer be checked as a first step in the diagnostic process to save time and prevent a possible misdiagnosis. Consult the manual for the affected application for details on the exact location of the inbuilt fuel strainer. NOTE #2: Diesel fuel systems are susceptible to the growth of bacterial colonies that can plug fuel lines and filters. Be sure to check the fuel system for the presence of bacterial growths before commencing a diagnostic procedure. Take the required remedial action to remove all bacterial growths and colonies from the fuel system to prevent a continual recurrence of this code. NOTE #3: If the code appears soon after the first use of bio-diesel, inspect the fuel lines and filter for the presence of a waxy substance. Bio-diesel is an excellent solvent, and on older diesel systems, it dissolves the various waxes that regular diesel deposits on the walls of the fuel tank and fuel lines. Note that the only way to rid the fuel system of dissolved waxes is to have the tank and fuel lines/system cleaned chemically. Assuming that the fuel filter and strainers are clean, and that there is no evidence of corrosion or contamination of any sort in the fuel system, record all codes present, as well as all available freeze frame data. This information can be of use to determine the probable location(s) of intermittent electrical fault(s). Consult the manual on the location, routing, function, color-coding of all associated wiring and perform a thorough visual inspection of all wiring and connectors. Look for burnt, damaged, shorted, or corroded wiring and repair all faults found. Clear all codes after repairs are complete, and rescan the system to see if the code returns. If the fault persists, perform reference voltage, resistance, ground, and continuity checks on all associated wiring. Compare obtained readings to the values stated in the manual, and repair wiring, or replace components to ensure that all readings fall within the manufacturer’s specifications. Clear all codes, and retest the system to see if the code returns. between the fuel metering control sensor, the fuel controller, and the PCM. These values should match those stated in the manual exactly (or very close to it). On some applications, a variation of only a few percent can cause P0255 to be set. Note that the PCM and other controllers must be disconnected from the system to prevent damage to the PCM and/or other control modules. NOTE #1: If the vehicle has a no-start condition, pay particular attention to the fuel shut-off solenoid (where fitted) located on the pump. The input voltage for this solenoid is usually equal to battery voltage, so check that battery voltage is being delivered to the solenoid. If full battery voltage is present, but the solenoid does not open replace the fuel shut off solenoid, and retest the system. NOTE#2: If the vehicle is fitted with an electric lift pump in the fuel tank, now would be good time to test its control circuit for resistance, reference voltage, ground, and continuity. Compare obtained readings with those stated in the manual, and make suitable repairs to ensure that all values comply with specifications. If all values check out OK, but the code persists, remove the lift pump and test it according to the directions supplied in the manual. Replace the pump if it does not conform to specifications. Clear all codes, and retest the system to see if the code returns. If the fault persists, and it is certain that the fuel shut-off solenoid and lift pump (if fitted) both work properly, consult the manual on the procedure on how to test the fuel pressure at the fuel rail. This test requires the use of a dedicated diesel fuel pressure gauge, but make absolutely sure to follow the directions in the manual to the letter. Compare the obtained test pressure result with the value(s) stated in the manual. Note that even if the fuel pressure at the rail falls within specification, the volume of fuel delivered by the pump might not be within acceptable limits over any given period of time. If this is the case, the engine may start but shut off soon after, or as soon as the engine speed is raised. NOTE: Testing the fuel volume often requires specialized equipment, but one way of doing it simply is to leave the pressure gauge attached when the engine is started. If fuel volume is the problem, the gauge will clearly show a drop in pressure just as the engine shuts off. WARNING: Diesel injection systems work at extremely high pressures and serious injury can result from incorrect pressure testing procedures, or by ignoring basic safety precautions, which precautions will be outlined in the manual. If the engine shuts off, or runs unevenly but the pressure gauge does not show a drop (or a rise) in pressure beyond acceptable limits, it is likely that the fuel pressure sensor is defective. It could be sending an invalid signal to the PCM, so consult the manual on the proper testing procedures for this sensor. Consult the manual on the correct procedure to test the pressure sensor, and replace the pressure sensor if obtained resistance readings do not fall within the manufacturer’s specifications. Clear all codes, and retest the system to see if the code returns. WARNING: Before removing the pressure sensor, be sure to follow the directions in the manual on how to release the residual pressure in the fuel system safely. Note that serious personal injury can result from not following the directions exactly. If the fault still persists at this point, but all electrical test readings fall within specifications, it is likely that the electronic fuel control actuator is defective. However, if fuel is being delivered to the fuel rail at the correct pressure and volume most of the time, it is safe to assume that there is an intermittent electrical fault present. Note however that intermittent faults in wiring can sometimes be extremely challenging to find and repair, and in some cases, it may be necessary to allow the fault to worsen considerably before an accurate diagnosis and definitive repair can be made. Thus, if it is certain that all sensors and other components are in proper working order, and the fuel pressure falls within specifications, repeat all electrical tests until the fault is found and repaired, or replace all suspect wiring with OEM harnesses to ensure proper operation of the control system. If the fault persists beyond Step 5, it is possible that a mechanical failure of the injection pump is the cause of the problem. Note however that while this is unlikely, it is nevertheless possible, so to rule out (or confirm) this possibility, refer the vehicle to the dealer or other competent repair facility for professional assistance.